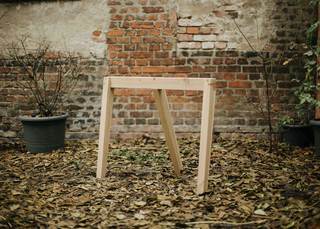 Design of a 3*1m larch table that can be handled by a single person. The top is made of 3 pieces that slide into each other. 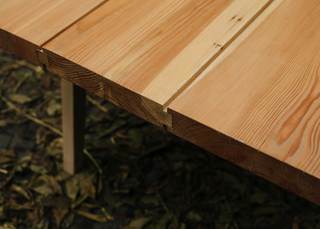 It is supported by two three-legged Trestles, also made from larch. 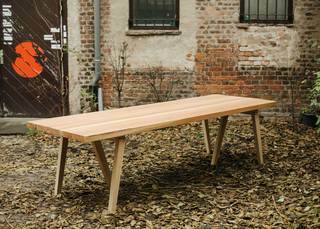 The table can be assembled and disassembled without any tools and is made without any screws.